Auction house offers historic jewellery for private sale at £12.3m. Auction house Bonhams is putting the Mughal Mirror Diamond necklace up for private sale with a price tag of US$20 million (£12.3m). 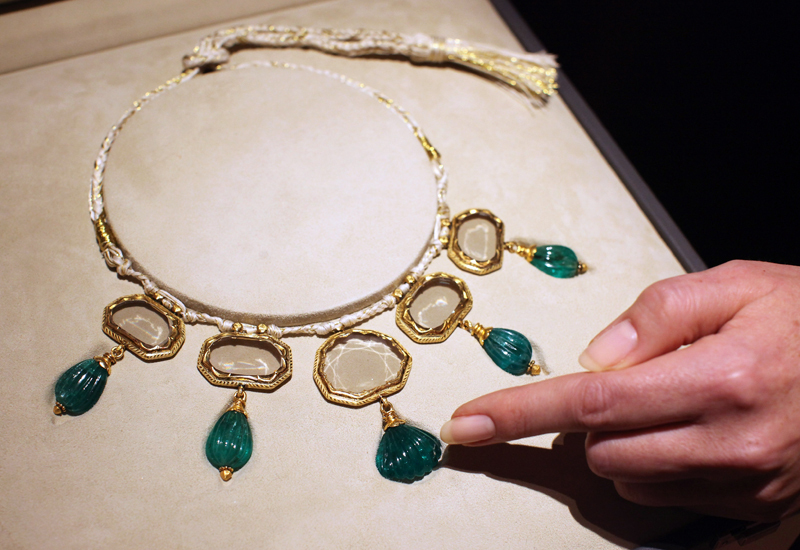 The necklace, which is believed to have belonged to a Mughal emperor, features five mirror-cut diamonds ranging from 16ct to 28ct with five emerald drops below. The diamonds are believed to be the largest matching set of mirror-cut siamonds – also referred to as table-cut diamonds – to have survived from the 17th century Mughal empire. Bonhams chief executive and international head of jewellery Matthew Girling said: "The presentation of the Mughal Mirror Diamond necklace, containing five extraordinarily well matched mirror diamonds, is causing great excitement in the world of jewellery scholars as well as potential buyers." In April Bonhams held a fine jewellery auction that hit a sales total of US$4.6 million (£2.8m) with what the house called "energised bidding" with strong international bids made through the internet.